It's 4pm at Borough Market and the gaggle of children are elated, having spent the day growing, buying and selling market produce. Now trading time is over, and it's time for their little stall to close, there's only one question left. "What will you do with your leftover produce?" asks development manager David Matchett, who runs the market's Young Marketeers project for local schools. "We can make it into leftovers for tomorrow," pipes up one kid. "Or we can give it to people!" "We give our food to my old auntie," shouts another. "I've been running this project five years," Matchett tells me, "and not once in that time has a child ever suggested throwing the food away." After all, the children have watched food growing. They've learned about it, eaten it – "they're invested in it. They don't want it to go waste," Matchett continues. So you can imagine their horror when he proceeds to tell them just how much food produced in this country is wasted every single year. Two million tonnes: that's £19 billion's worth, and the cost to the environment is arguably even greater: deforestation contributes to climate change and biodiversity loss, fertiliser run-off produces nitrogen blooms in oceans, and the combined effects of landfill and livestock farming results in at least at least 20 million tonnes of greenhouse gas emissions. The good news, though, is that you don't need to look much beyond places like Borough Market to understand what one solution to such criminal wastage might be. I am eating it. I am also drinking it, and while eating and drinking it I am basking in heat that's been powered by it. I'm in front of my family's wood burner eating a cheese sandwich with Rubies in the Rubble piccalilli, alongside a chilled Toast ale. The former is made with cucumbers and onions classed as surplus: that is, unwanted by retailers for reasons of size, shape or colour.The beer is made from what my family call the nobby and others call the 'heel' of the bread: the crust ends, which mass sandwich manufacturers can't – or won't – use in their generic sliced tuna-sweetcorn and BLT sandwiches. 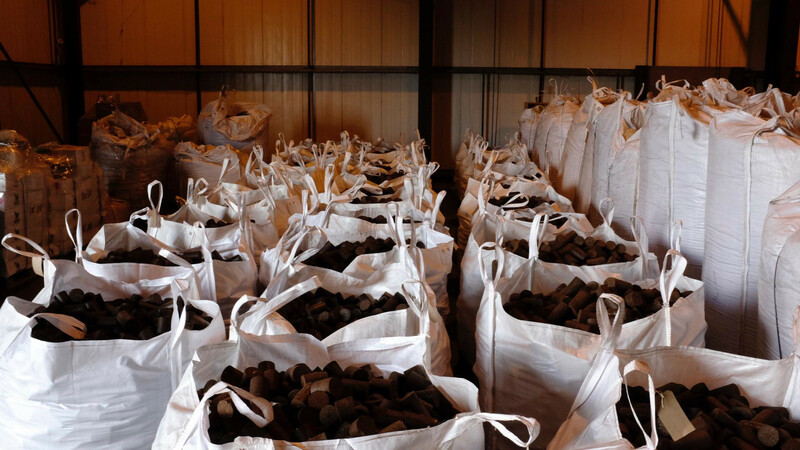 The heat source is used coffee grounds, recycled by the innovative clean technology company Bio-bean into pellets for biomass boilers, biodiesel and briquettes for wood burners. 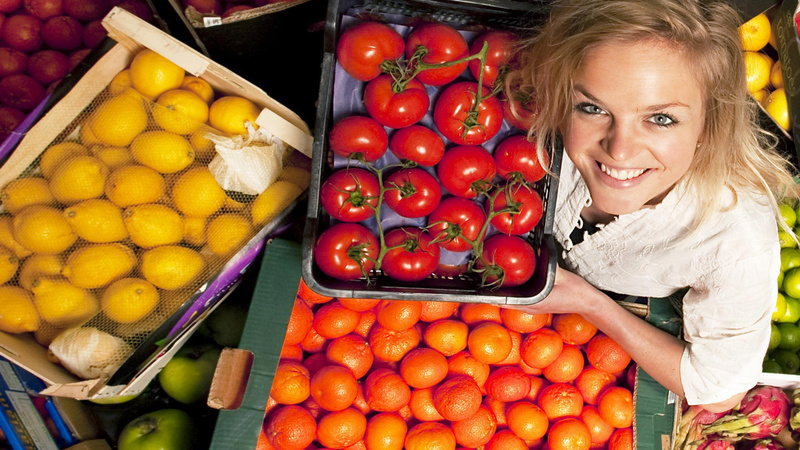 This latter is arguably the odd one out: the priority of retailers, producers and us consumers is to ensure surplus food is eaten by people where possible, and this article is focused on young London-based businesses doing exactly that. Nevertheless, with its sharp branding, smart technology and simple but potentially revolutionary innovation, Bio-bean is irresistibly representative of the new generation of companies applying principles of modern business, as well as slick design, to an issue that can often appear stale and tasteless: wasted food. The lack of coffee aroma may be disappointing for caffeine addicts like myself, but I can see why it makes commercial sense to sell fuel that doesn't smell like a coffee shop. Bio-bean is a slick, professional outfit: already they are collecting grounds, not just from those coffee shops concerned with sustainability – Change Please and Monmouth Coffee, for example – but the likes of National Rail, hotels and most of the major high street coffee chains; and the plan in the next few years to collect from and provide energy to many more UK buildings, even London buses, is far from a pipe dream. 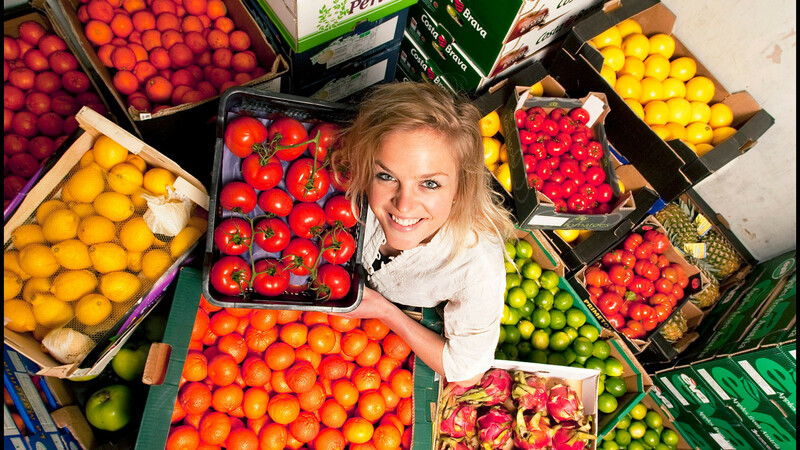 "These are viable businesses," Kate Howell, director of development and communications at Borough Market, says of Bio-bean, and of those other companies turning food waste or surplus into consumables. Indeed, many of the biggest names in the world today actually started here with the market, which has provided a seedbed for sustainable businesses like Rubies in the Rubble, which makes a range of chutneys and sauces from supermarket rejects, Chegworth Valley of apple juice fame, and the street food stall selling meat from previously unwanted billy kids, Gourmet Goat. It's part of the fabric – the "daily tick tock of the market", Howell explains – that food is seasonal, bought in only the quantities needed rather than as part of pernicious 'bogof' offers, and market surplus absorbed through various channels. "Gourmet Goat uses the bread from Olivier's bakery for its croutons the next day. Patrick at Soul Food goes to the fishmonger for fish to marinade overnight for his seared fish wrap." Getting back to the idea of eating what's in season and preserving natural gluts is key to reducing waste, Howell continues, but "it's what goes on between the food producer and the consumer eating it that gets confusing," and it's here that companies like Rubies, Toast, Snact (which creates fruit jerky from surplus) and Rejuiced (ditto, with juices) can step in to ensure that the waste generated in that gap remains in the human food chain. Flash back to 2009: before the BBC's Great British Waste Menu and before Hugh Fearnley-Whittingstall's Hugh's War on Waste programme. Tristram Stuart – now award-winning political campaigner and charity founder, then a barely known author and activist – had just released Waste. It was an exposé of the global food scandal revealing the then-shocking, now-familiar, stat that around a third of the world's entire food supply could be saved by reducing how much was thrown away. To prove just how much of the food farmers and food producers chucked daily was edible, he and self-proclaimed eco-chef Tom Hunt hosted Feeding the 5,000: a communal feast for 5,000 people made entirely out of food that would otherwise have gone to landfill. He set up the campaign organisation Feedback to "shine a light on the hidden causes of waste across the food supply chain", and their 'food-waste pyramid' became the template for industry attitudes towards waste and surplus. It appeared revolutionary – and it was – but the irony is, of course, that it advised nothing more radical than what David Matchett's kids in Borough Market suggest every day. At the bottom of the pyramid – it is upside down, so this is the narrow end – comes disposal, the option the kids can't conceive of. "Avoid landfill wherever environmentally friendly alternatives are available," is Feedback's advice in this regard. Next up, compost and 100% renewable energy (hello, Bio-bean), followed by charities, which redistribute food to people in need. Last and largest, at the pinnacle of the pyramid, comes reduce. "Plan orders to avoid overproduction; maximise shelf-life through better storage; and identify alternative markets to keep food in the human food chain": the bracket companies like Rubies in the Rubble fall under. It comes as little surprise to discover that the man behind the Toast Ale I was drinking is none other than Tristram Stuart himself. Even today, many entrepreneurs in this burgeoning field of food production are hesitant about making explicit their product's origins in food waste – for 'waste' is, to some extent, a misnomer. Though they are often used interchangeably, in the context of the producers we're discussing the more appropriate term is food surplus, not waste. 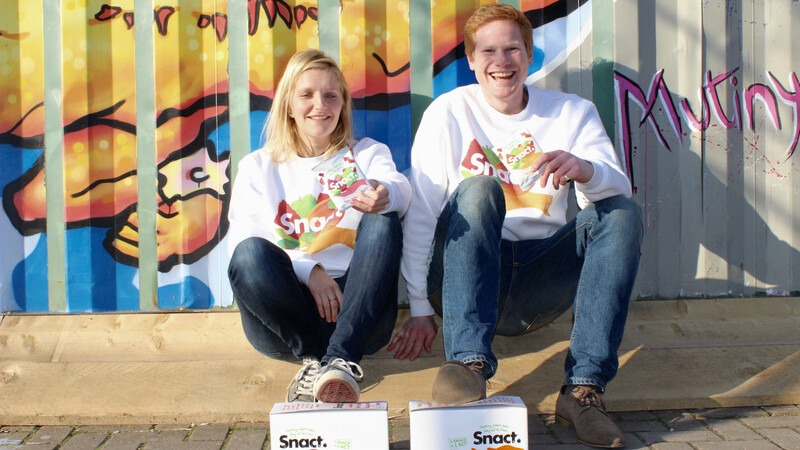 "We make Snacts from surplus fruit – fruit that would otherwise go to waste," explains Snact founder Ilana Taub. "We think it's an important distinction to make, as linguistics actually has quite a big impact on behaviour." Despite the efforts of Stuart, Fearnley-Whittingstall and so on, waste is, to many people, bad apples and rotting cabbages in dustbins, rather than perfect produce which food retailers have discarded for aesthetic reasons before it even reaches their shelves. Cucumbers too curved for packaging, pears too bumpy to sell, strawberries of non-normative sizes and apples with insufficient redness wind up as compost – or worse, landfill – despite being perfectly edible. "The other day I had organic English strawberries that were the size of my fist, and beautiful black Italian grapes where the only fault is the bunches are too small and the strawberries too large to pack," explains Thomas Fletcher, founder of Rejuice – the Hackney-based company making smoothies and juices from surplus produce found in big packaging plants around the south and south-east. A former chef, he's a classic example of those British entrepreneurs changing the face of the issue by applying skill, sophistication and enthusiasm. "People often imagine this is me jumping over garden fences fishing out vegetables from skips and compost heaps. It's actually a pretty sophisticated operation, and highly logistical," he tells me while showing me his super juicer – "this can effortlessly juice up to two tonnes an hour"– and his all-washing, all-dicing mill. "Because I'm a chef, I've spent a lot of time staring at fruit and vegetables. I know instinctively what tastes good." He's a star at festivals, where it sells so quickly he can't make enough juice, and is hopeful of attracting bigger retailers in the near future. With time and some investment he is confident of strong growth. 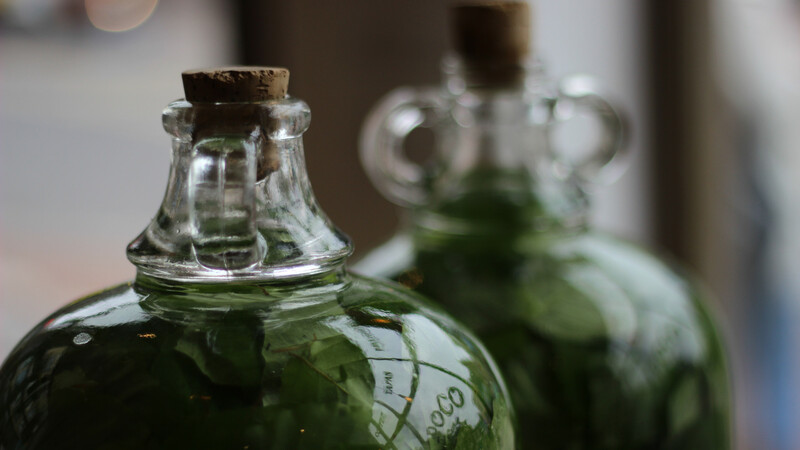 "Unlike most soft drink manufacturers, our raw produce costs drop as we increase output, because of the nature of and abundance of waste fruit and vegetables." He even has the blessing of Tristram Stuart, who dabbled in juice production before committing himself to campaigning. Stuart, meanwhile, having perhaps learned from his juice experience, went to professional brewers to create his ale this year, rather than setting up his own brewery. This had a dual advantage. "We are a nomadic brewery, which means, in addition to being able to exploit the expertise of the breweries who brew for us – Hambleton Ales in Yorkshire, King Street Brew House in Bristol – there has been no capital outlay," explains his PA and communications officer Louisa Ziane. "This was critical to building a scalable model that would quickly generate profits – all of which are donated to Feedback to support waste reduction around the world." 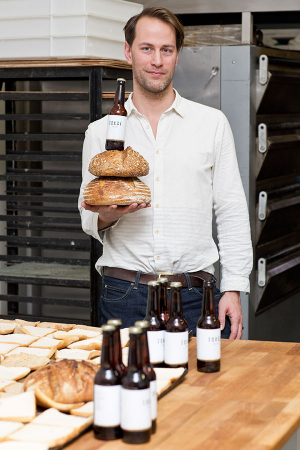 Since setting up – first with Hackney Brewery, then the larger brewery at Hambleton to meet demand – Toast has been contacted by dozens of bakeries asking if their old loaves can go to ale. "Unfortunately there's so much surplus, from all over the country, that we can't possibly use it all. In the UK alone, 44% of bread is thrown away somewhere along the supply chain." It's a shame, she continues, because bakers, particularly artisanal bakers, put a lot of time and effort into their loaves and, oily and fruity varieties asides, brewers can use pretty much any bread. "All that matters are the carbohydrates, which are broken down to sugar by amylase, then yeast converts the sugar to alcohol," she explains. They still need barley to get the amylase, which is why the recipe calls for one part bread to two parts barley, brewed in with bramling cross and chinook hops, oat husks, yeast and water. Still, even by saving just one slice a bottle since starting in January, Toast has saved around 960kg of surplus bread. 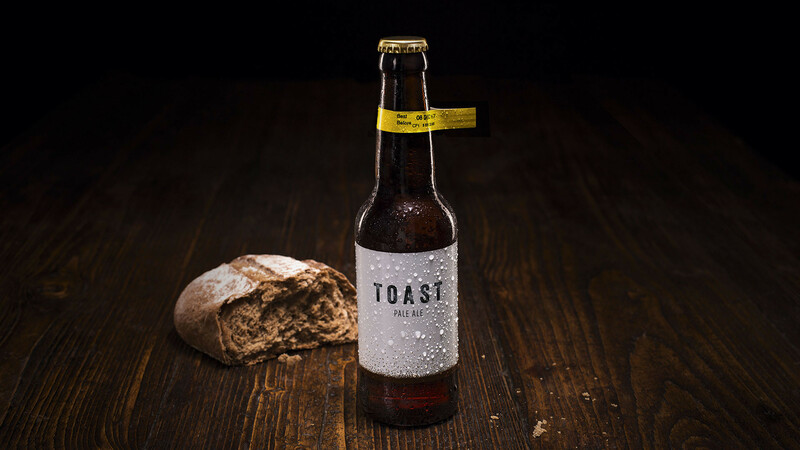 There are plans to go global; to partner with food-waste activists, craft brewers and local sources of bread waste in order to take Toast to other countries. After all, Stuart's original recipe came from Brussels, whose Babylone beer was so called because 7,000 years ago, the Babylonians were the first to discover a delicious beverage based on fermented bread. There's a growing community of campaigners and entrepreneurs around the world who recognise waste as a global issue – one best solved by working together and sharing information and ideas. The Europe-wide Food Surplus Entrepreneurs network is one way for those seeking to tackle food waste through production to help each other rather than make the same mistakes. For example, a producer in France looking to make preserves from surplus might speak to Rubies in the Rubble, gleaning contacts and tips from them as well as the support the FSE offers by way of social media and events. Rubies in the Rubble is also starting to think beyond Britain. It's travelled a long way since 2012, when founder Jenny Dawson approached Borough Market "with just an idea," Kate Howell recalls, smiling. The market told Dawson to come back with a product, and the result is a slew of award-winning preserves stocked by Fortnum and Mason, Marriott hotels and a well-known restaurant chain. When we speak, Dawson is in South Africa, sourcing surplus sundried tomatoes for a new range, hopefully due out in a few months. Those tomatoes with harmless black spots, or those rejected for some other reason, will head to the mixing pot. "When I started I was quite hesitant about referencing our food waste origins overtly," Jenny recalls, "but we've rebranded recently and I'm a lot more confident. 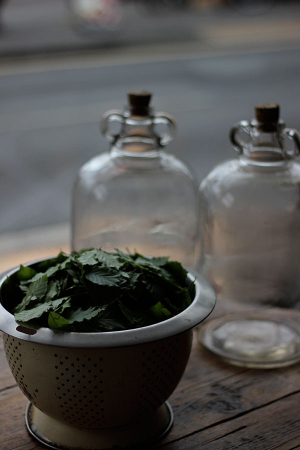 Now our labels and marketing are far more bold about why and how we do what we do." Their 'waste' credentials are a selling point. Where before, Dawson and her fellow entrepreneurs would spend hours explaining about supermarkets and surplus in an effort to persuade customers, now they come knocking. Yes, campaigns like Fearnley-Whittingstall's have helped – but, as the FSE's Joris Depouillon points out, it was really by creating a product whose quality would rival and even surpass those of its competitors that these companies defied assumptions that using surplus meant compromising taste. "These are not 'hippy' companies, or cynics. They don't see sustainability purely as a means of marketing and selling. They see it as a means of ending food waste by raising awareness of the issue." Indeed, the ideal scenario – the dream of every producer I speak to – is that they put themselves out of business because food waste, or surplus, does not exist. "When it comes to food conservation, London is a bit of European hotspot," says an admiring Depoullion, who is based in Belgium. He's impressed by just how much "Anglo Saxon enterprise" there is going on. Personally I'm more of the melting pot school of thought than the Anglo Saxon one. I'm proud of London's progress but it's clear, looking around the world, how much more there is out there. A US brand makes granola bars from 'spent' beer grain upcycled from the brewing process, while in Denmark, a professor is transforming fruit and veg scraps into crystals which can be used in everything from confectionery to molecular gastronomy. There's a lot left to do, in terms of sharing ideas, scaling up and spreading awareness – but the groundwork for changing attitudes is in place. "It is a tangible subject," says Tom Hunt. "People can understand it – and the beauty is we can all make a difference." Change must happen on all levels, he tells me, from home cooks to chefs (his restaurant, Poco, is almost zero-waste) and supermarkets (which still "literally horrify" Hunt, but are at least starting to improve, with the painfully slow creaking that comes with organisations that have been for so long set in their ways). Waitrose has signed up to Feedback's food pyramid. Sainsbury's is increasingly looking to work with its suppliers to minimise waste and find alternative uses for unsold items. A few months ago, Sainsbury's launched a trial of banana breads made from bananas too bruised to sell in store, to enormous accolades. "Originally we estimated they would sell 1,000 loaves," says Paul Crew, director of sustainability at Sainsbury's, with palpable excitement. "Customer feedback has been overwhelmingly positive and we've already sold 3,000, saving just as many bananas." Of course, saving 3,000 out of the 162 million bananas wasted each year is but a drop in an ocean of landfill, but Crew's enthusiasm is completely understandable. It's the inherent human response to the prospect of tackling something as abominable as food waste through something as delicious as banana bread. As worrying as our waste problem is, so long as that's our response, we've a reason for hope.